1. How to participate in the forum? To participate in the Sixth international forum «Anti-Counterfeit-2018» you need to fill in the registration form on the website in the «Registration» section. Telephone registration is not possible. The number of participants from one company is not limited. 2. How much does it cost to participate in the forum? Participation in the Sixth international forum «Anti-Counterfeit-2018» is free for all categories of participants. 3. Can I be refused entry? The management of the Forum has the right to refuse any candidate to participate in all events of the Forum without giving reasons at its discretion, as well as to limit participation in certain events. 4. Where is the forum and how to get to the venue? 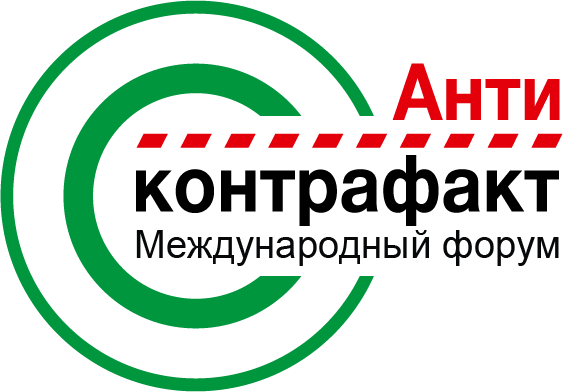 The sixth international forum «anti-Counterfeit-2018» will be held in Azimut hotel Olympic Moscow at the address: Moscow, Olympic Avenue, 18/1. Detailed information on how to get There, you can see in the «Venue». 5. Can I make a presentation? 6. What should I do if I have problems with registration? Attach a smaller photo (the photo must be in jpg/png/gif format, max size 5MB). Try to register from another browser, after clearing the cache of the browser, another computer or other device (tablet, phone). 7. I filled out the registration form, but I did not receive a confirmation email. Try to check for an email in your junk (spam) folder. 8. Can the forum Management send me an individual invitation after registration? Individual invitations cannot be sent out. 9. What is my account? Data for entering the personal account are sent after registration. In the personal account, you can change your personal data (if they are not currently being checked by the relevant security authorities of the Russian Federation) and after passing the accreditation, see your status of the participant and the level of access to the events. We remind you that the Directorate has the right to refuse any candidate to participate in all events of the Forum without giving reasons at its discretion, as well as to limit participation in certain events. 10. Where can I stay during the forum? You can get acquainted with accommodation options and book a hotel room in the «Accommodation facilities» section. 11. When and where can I get a badge? The personal badge will be issued at the reception from «19» to «21» November 2018 in Azimut hotel Olympic Moscow at the address: Moscow, Olympic Avenue, 18/1. Guests staying at the hotel can get a badge in advance, on November 18 at the hotel. A passport is required to obtain an accreditation badge. Obtaining a badge by a trusted person is possible only if the passport of the authorized person and a power of attorney from the person who submitted the application. The sample power of attorney to receive a badge You can download from the official site in the section «Rules for participation», section 3.4. 12. Where can I Park my car? During the Forum for participants will operate paid Parking for cars, located on the territory of the venue (entrance from the Samara street). Parking costs 100 rubles per day. Please note that Parking spaces are limited. 13. How can I get a business trip certificate? On the days of the Forum, a special zone will be located in the visitor registration area, where you can issue a business trip certificate if necessary.